Ontario and Quebec are receiving a pre-commercial 5G testbed network through a $400 million CAD private-public partnership. Innovation, Science and Economic Development Canada (ISED) and the governments of Quebec and Ontario are investing with five large industry players to create a ‘5G corridor’ that will provide Canadian businesses with the ability to test software and apps in environments running pre-commercial 5G equipment. The testbed network will create 4,000 jobs and maintain 2,000, according to the project’s website. 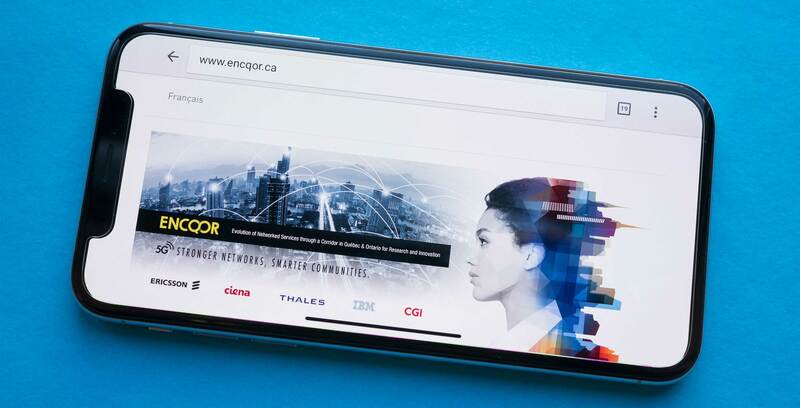 The five industry players are Ericsson, Ciena, Thales, IBM and CGI — a group that has banded together under the title ‘Evolution of Networked Services through a Corridor in Quebec and Ontario for Research and Innovation’ (ENCQOR). ENCQOR will be coordinated by Prompt, CEFRIO and Ontario Centres of Excellence. 5G is the fifth generation of wireless technology, offering faster data rates of multiple gigabits-per-second and lower latencies, as well as providing a more flexible canvas for the various types of wireless activity that now exist. Canadians can expect to see the first 5G deployments and wide-scale trials in 2019, ramping up to broader deployments in 2020. Rogers, Bell and Telus — all three of Canada’s largest telecommunications companies — have noted, however, that deployment is contingent on access to key 5G spectrum. ISED has launched consultations on several of the spectrum bands important to 5G, but has yet to release a timeline for auctions and availability.